Roblox is a popular online building game for kids, but there are also many other games like Roblox available. If you are tired of Roblox or just looking for another fun building game play then I recommend checking out one of the games like Roblox available on this page. After playing Roblox for several years on and off I decided to see what other games were out there with a similar gameplay experience. 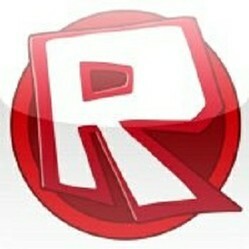 Don't forget to leave a comment and vote for your favourite game like Roblox! What Is Your Favourite Game Like Roblox? The Best Game Like Roblox? Blockland is an online multiplayer game like Roblox, it features Lego style building blocks and runs on the Torque Game Engine. Blockland has been around since 2007 and has a community tens of thousands strong. The gameplay of Blockland is completely open world (there are no specific goals or objectives). As such players are encouraged to build, construct and design anything they want, be it small or on a grand scale. The game also features one of the best physics engines available in a building game, making it extremely fun to destroy your creations! Blockland costs $20 (one-off payment) making it a great alternative to Roblox (no more subscriptions fees). After purchasing the game players can play both singe player and multi player (internet or LAN). Cubelands is another popular online multiplayer building game like Roblox. The game offers plenty of unique content and features to keep players busy and is available for free (although there are premium accounts available). Like most building games, players are limited only by their imagination in Cubelands, you can build anything and everything you want using the variety of block types and colours on offer. Create the world around you and build anything you desire in this free game like Roblox. Garry's Mod offers all the tools and features that you would come to expect from a sandbox physics game. The benefit of Garry's Mod is that it also uses the Lua scripting language so players of Roblox will have no problem adjusting. Blockyard aims to use a similar system to Roblox but allow players to create more interactive items, this makes it one of the stand out free games like Roblox currently available. Blockyard can be played for free within your browser or downloaded to your computer for better performance. The focus of the game is to use engines and other energy forms to create things of motion which means the potential for creation is simply endless. Minecraft is the most popular building game available, featuring millions of accounts and is a great option if you are after a game like Roblox. Minecraft was developed independently by Notch and is written in java (so it can be played on Mac). The games focus is largely on building and creating but there is also a survival mode which requires players to survive in a world filled with spiders, skeletons, creepers and other evil creatures. Players are able to play the classic version of Minecraft (which is building only) for free on the official website, while a premium account must be purchased to gain full access to the game. The success of Minecraft has led to the development of an increasing number of Minecraft games which feature similar gameplay and mechanics. The genre has grown massively since Minecraft started with new games continuing to be developed on a regular basis from both big game companies and small indie startups. Do You Know Another Game Like Roblox?